Camilla Adelle joined GovInn in 2013 as a Senior Research Fellow. She holds a PhD in European Union environmental policy and has a particular interest in the international or the ‘external’ dimensionof the EU’s pursuit of sustainable development, especially in Africa. 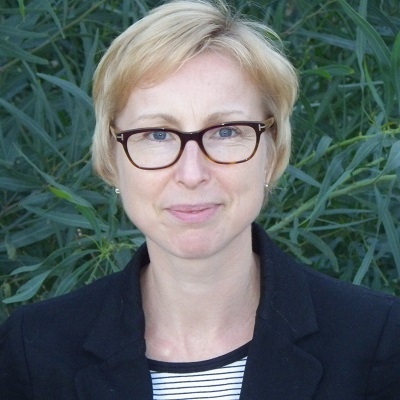 Camilla is also interested in policy coordination and integration and has considerable research experience in the governance aspects of policy level (regulatory) impact assessment. Previously Camilla was a Senior Research Associate in the School of Environmental Sciences at the University of East Anglia (UK) as well as a Research Analyst at the Institute for European Environmental Policy (UK and Belgium). She also spent several years in West Africa where she worked for Friends of the Earth Ghana. Camilla is co-editor with Andrew Jordan of ‘Environmental Policy in the European Union: Contexts, Actors and Policy Dynamics’ (3ed) (Earthscan, 2012) and has published articles in the Journal of European Integration, Environment and Planning C, Environmental Policy and Governance, Impact Assessment and Policy Appraisal, and Environmental Science and Policy.